Release Date:08/31/2018;Notes:Vinyl LP pressing. 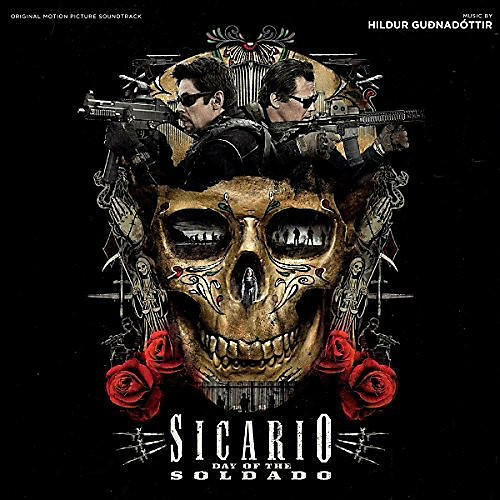 Sicario: Day of the Soldado is the sequel to the globally successful film, Sicario, which earned composer, Johann Johannson an Oscar nomination for Best Score. Soldado is composed by Hildur Gudnadottir, a collaborator on the Sicario score, and a well-respected classically trained cello player who has recorded as a solo artist and collaborated with The Knife, Animal Collective, Hauschka, and Fever Ray. Sicario: Day of the Soldado was directed by Stefano Sollima, written by Taylor Sheridan and stars Benicio Del Toro, Josh Brolin, Isabela Moner, Jeffrey Donovan, Manuel Garcia-Rulfo and Catherine Keener. The movie is the sequel to 2015's Sicario, for which late composer Johann Johannson received an Academy Award nomination.